McKeesport, PA – May 29, 2018 – Last week, local area business leader, Mark Despotakis of Progressive Music, joined nearly 100 music industry leaders, notable artists and arts education activists to advocate for all school-aged children to have access to quality, comprehensive school music education programs. 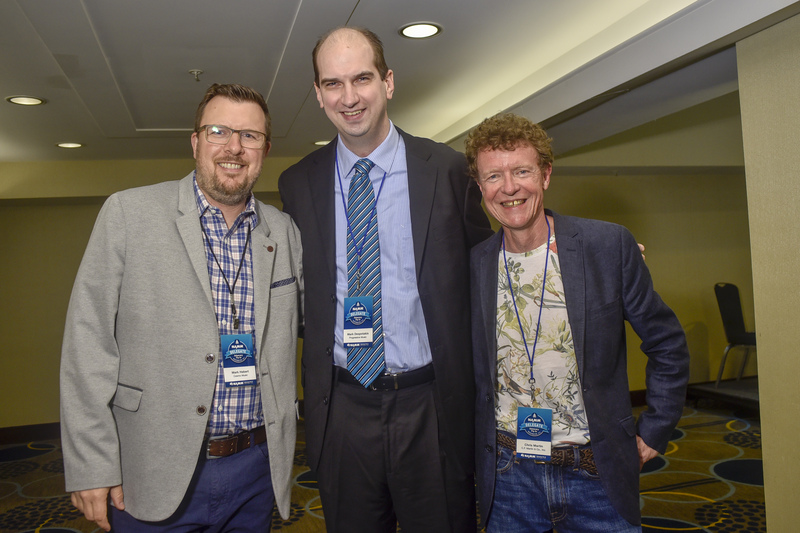 As part of the National Association of Music Merchants (NAMM) Advocacy Fly-In, held May 21-24, the delegation met with Members of Congress and other policy stakeholders to reinforce the importance of music as part of a well-rounded education. That evening, Despotakis joined The NAMM Foundation in awarding the SupportMusic Champion Award to Representative Suzanne Bonamici (D-OR). The award was presented in recognition of the Representative’s tireless work, and strong support of music education, including her lead role in the 2015 passage of the bipartisan ESSA. The Representative is also the founder and co-chair of the Congressional STEAM Caucus (Science, Technology, Engineering, Arts, and Mathematics), a bipartisan group which recognizes the benefits of the arts and sciences in developing critical thinking skills for success in career and life. On Wednesday, Despotakis met with Senator Pat Toomey and staff members from the offices of Senator Bob Casey and Congressman Mike Doyle as well as other elected officials to advocate for full funding of school-level music programs across the nation, as stipulated inESSA, and to discuss the multitude of benefits music education espouses. In addition to the advocacy work, Despotakis was part of a special Congressional reception, held on Wednesday, May 24 in the Mansfield Room at the U.S. Capitol that brought together arts advocates and policymakers, and underscored the importance of continuing to advocate for all children to have access to music education. Progressive Music’s advocacy efforts don’t stop in Washington, DC. Despotakis handles public policy and advocacy work for the Pennsylvania Music Educators Association (PMEA) and is an active member of the Pennsylvania Arts Education Network. Advocating for equitable access to music education for all children is a key mission at Progressive Music. The National Association of Music Merchants (NAMM) is the not-for-profit association with a mission to strengthen the $17 billion music products industry. NAMM is comprised of approximately 10,300 member companies located in 104 countries. NAMM events and members fund the NAMM Foundation‘s efforts to promote the pleasures and benefits of music, and advance active participation in music making across the lifespan. For more information about NAMM, please visit www.namm.org, call 800.767.NAMM (6266) or follow the organization on Facebook, Twitter and YouTube.